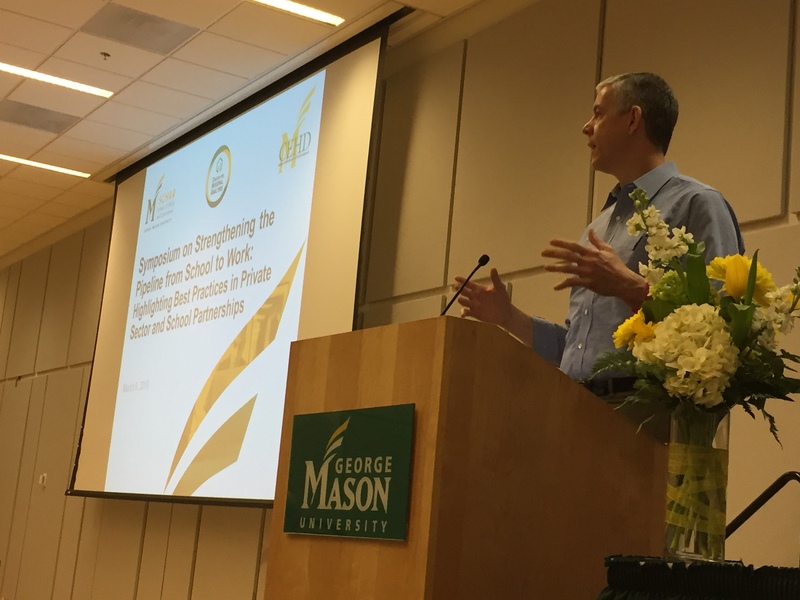 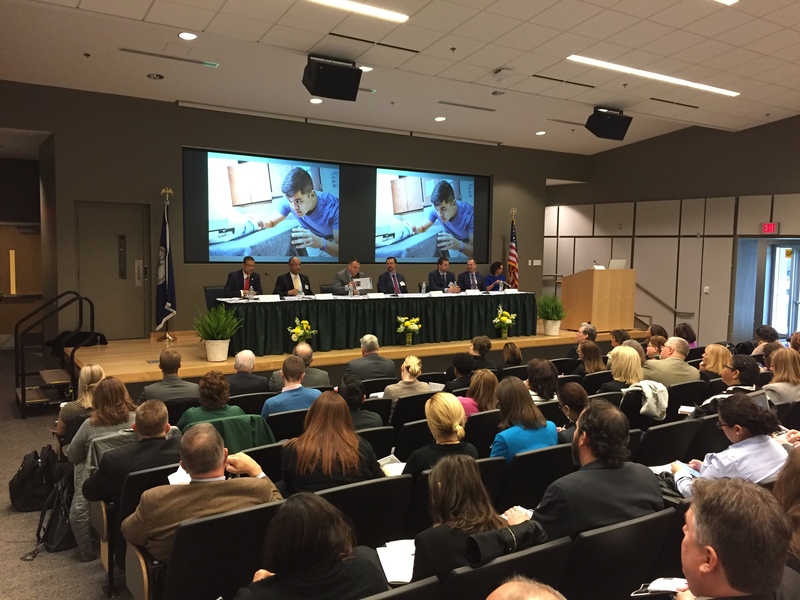 On March 8th, 2018 George Mason University’s Schar School of Policy and Government, the College of Education and Human Development, Mason’s Center for Regional Analysis coordinated the “Symposium on Strengthening the Pipeline from School to Work: Private Sector and School Partnerships”. 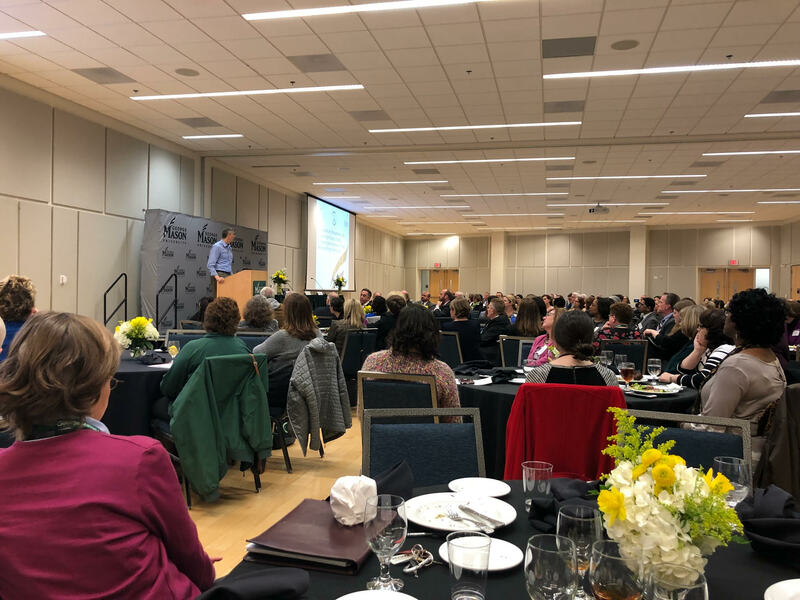 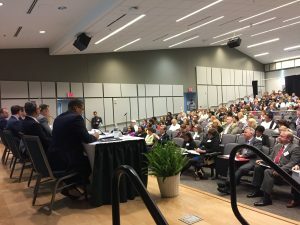 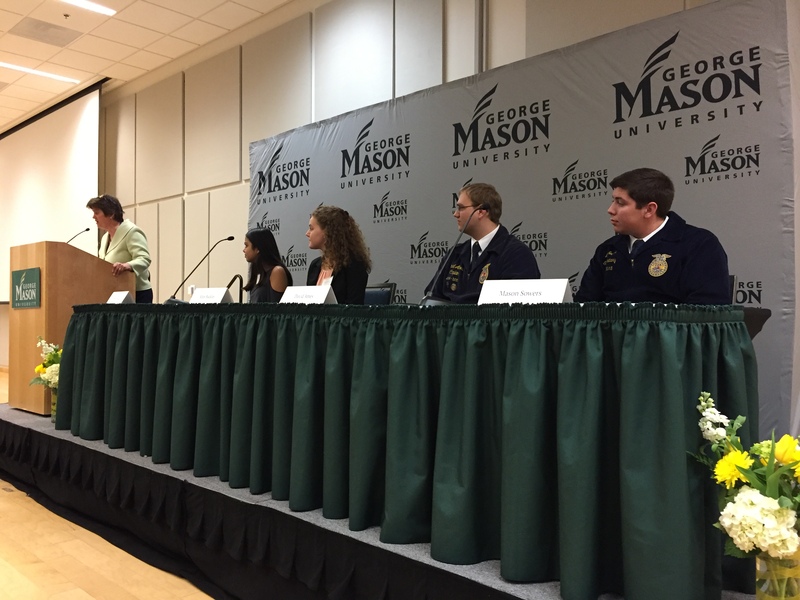 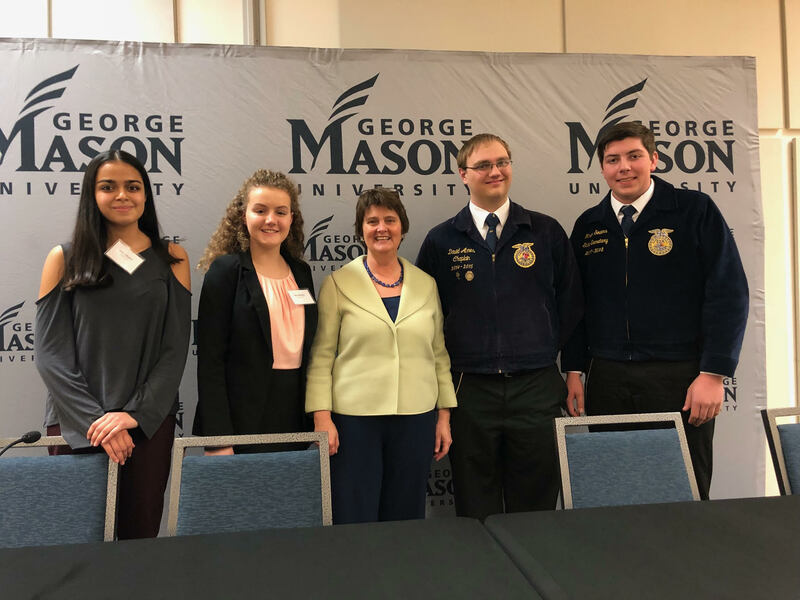 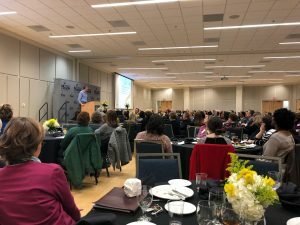 At the day-long gathering located at the George Mason University Arlington Campus, over 250 educators, business leaders, and academics met to discuss rigorous strategies for establishing and growing partnerships and innovative work-based learning opportunities. Former Secretary of Education Arne Duncan gave the keynote address after lunch, affirming the need of business and school collaboration and discussing his current efforts with Chicago CRED. The day ended with an encouraging panel of students who have experienced a work-based learning project. 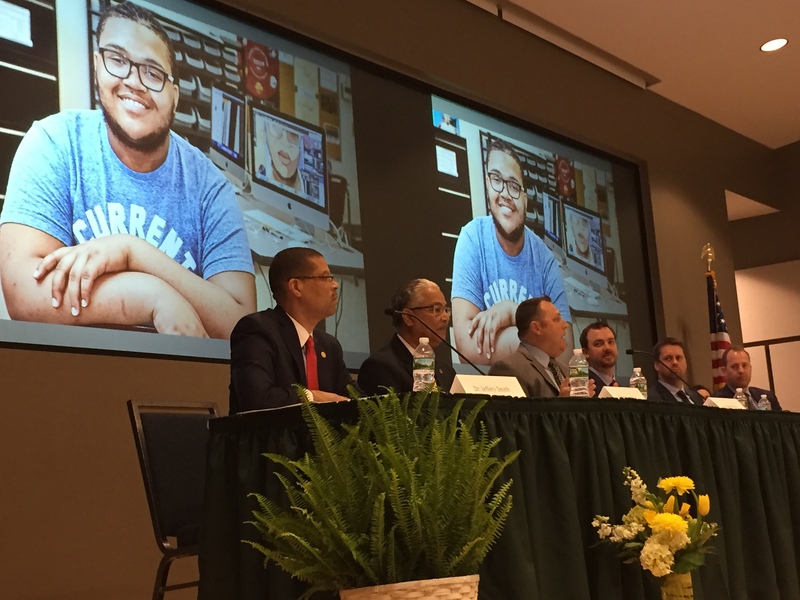 The panel demonstrated the amazing potential of strong partnerships between businesses and schools to 1) help students develop critical skills for success in the workplace and 2) expose students to career options including possibilities they might not have otherwise encountered. Staff and logistical support from staff and students at CEHD, and here at the Schar School the Centers for Public Service and the Center for Regional Analysis. 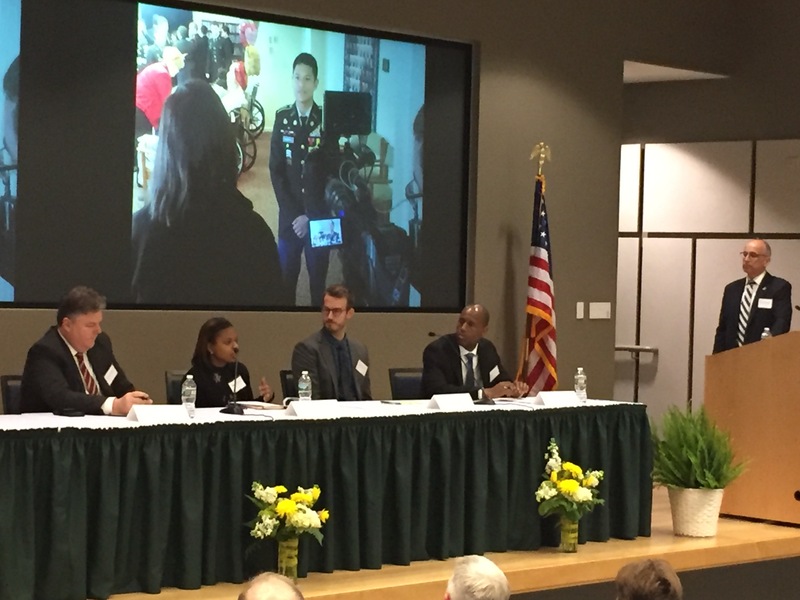 Phillips programs for children and families which helps youth with behavioral health needs get the education and training they need to succeed. Skillsource Group, which helps connect both displaced and incumbent workers to the education, training, and placement opportunities they need to succeed. 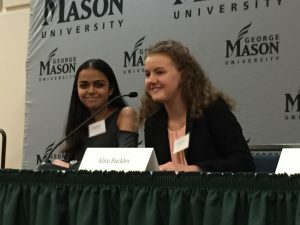 Jobs for the Future which is a national non-profit organization working to improve education and workforce systems around both here in Virginia and around the country.